Chicken wire has many uses beyond the obvious--to make a chicken pen. There are many styles of gates you can create for use in your home, the yard or for your garden. 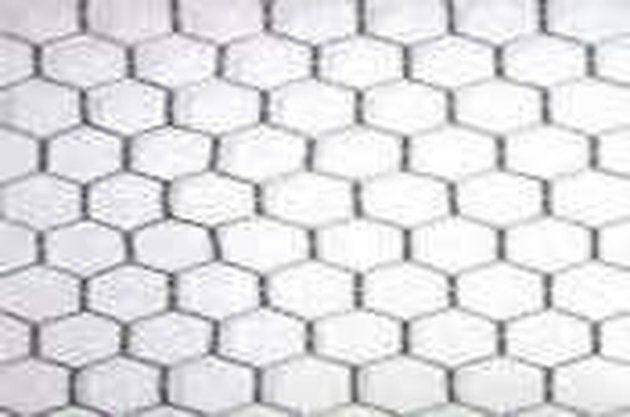 Chicken wire is versatile, inexpensive and easily cut and is usually sold in rolls that are 3 feet to 6 feet long. 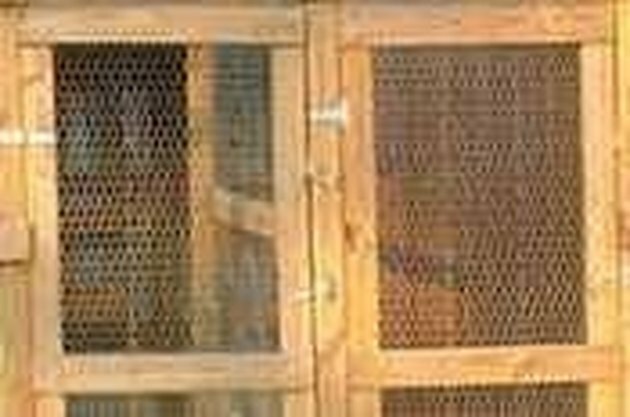 Gates made with chicken wire gate can usually be completed within an hour. Measure the gate area. Your doorway width will determine the amount of chicken wire to use and the length of your boards. As the gate will not fit if your measurements are incorrect, double check your measurements. Mark four 1x1 inch boards according to the measurements of your gate area. Cut to the desired length and then angle cut the ends so they will fit together like a picture frame. Screw the wood frame together with small, fine screw to ensure that the screws do not split the wood. Paint the frame (if desired) and let dry. Attach the hinges to one side of your chicken wire frame, spacing them approximately 1½ feet apart. Measure and cut your chicken wire using wire cutters to fit your wood frame. Leave a space between the edge of the chicken wire and wood frame of about ¼ inch. Bend the sharp ends back away from the edge. Begin stapling the chicken wire at one end, start at the corner and use two to three staples, ensuring that the chicken wire is stapled at the top and side. Staple each corner before moving along the top and sides. Check that the chicken wire is properly aligned and taut as you staple. 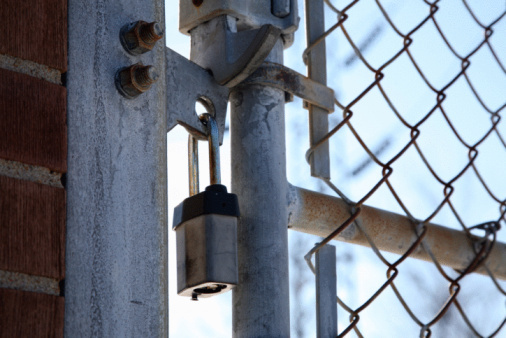 Your gate is ready to hang: Attach hinges to doorway or gate post.